Chess tournament training session this afternoon. How many of the 9 ways to draw a chess game can you name? TV Show I've been watching: Alias, Sn 3; Disk 5. Both Michael's wife and his mother-in-law are in the Covenant. Book I've been reading: Twitter Power 2.0 by Joel Comm. My favs: Chapter on how to write great tweets. Chapter on 30 day twitter plan. History Moments: Disraeli wondered, what to do about Ireland? Masters of Finance: Napoleon Hill says to be ruthless in cutting off relations with minds not in harmony with your's. Literature Daily: a passage from the fisherman pleads with genie for his life. 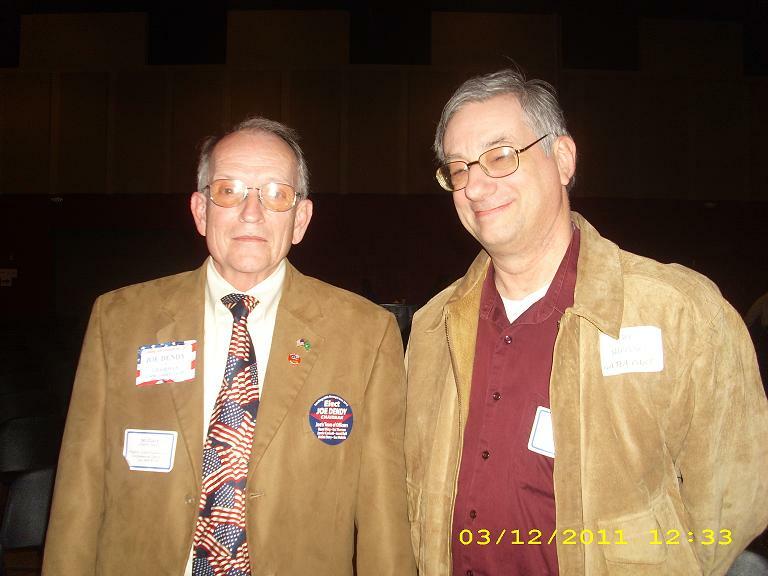 Political Journal: I meet Joe Dendy who's just elected Cobb County GOP chairman.